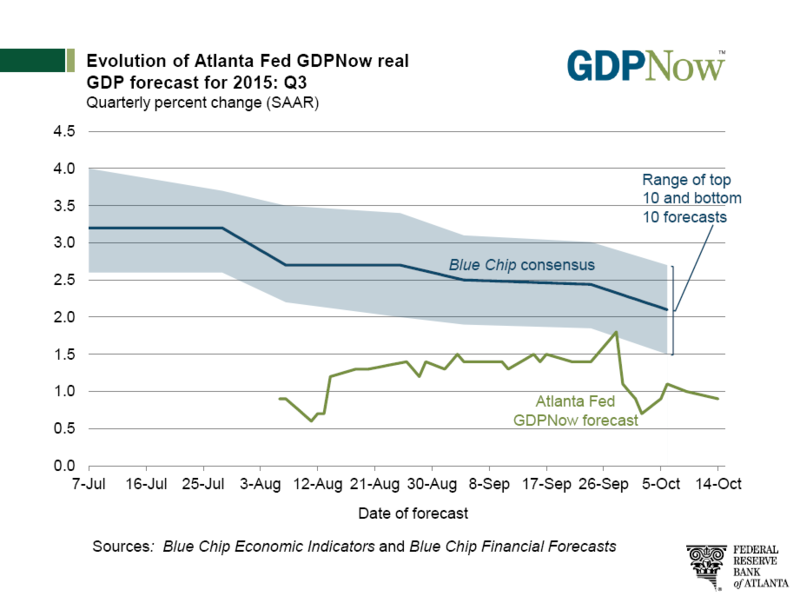 Following today's retail and business sales reports, the Atlanta Fed GDPNow Forecast for third quarter GDP slipped 0.1 percentage points to 0.9%. I don't think the Fed will hike this year and neither does the market. In fact, the market now thinks the Fed will not hike in March. The above chart created with numbers from CME FedWatch. Hike adds for March are now down to 47.6%. In fact, going all the way out to July 2016, the Fed Fund Future sits at 99.645 implying an interest rate of 0.355%.